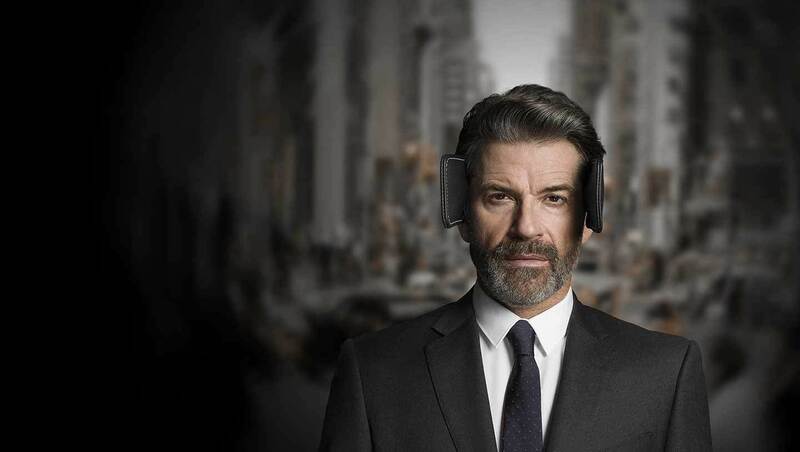 Oticon's latest mid-level hearing aid range has been received as well as the initial flagship device by both users and the professionals who fit them. As with the Opn 1, many people are very happy with the devices and what they do. Let's take a look at what models are currently available in the range and what is the technology inside. Oticon expanded their new ground breaking hearing device range at the start of 2017. Like the Opn 1, the devices were groundbreaking for several reasons, not the least being they were internet enabled and they were Made For iPhone. The internet-enabled Oticon Opn 3 comes with a number of the same features as the Opn 1. The hearing aids will connect directly to your Smartphone so you can make phone calls and listen to music without any intermediate streaming device. They are also water resistant to 1m. As with the Opn 1, the devices can be connected to any device that has a Bluetooth connection. This means that the hearing aids can also be connected to things like doorbells, appliances, or even baby monitors. Then when the doorbell rings, for example, the person gets a small 'ring' in their ear to let them know. With the original launch, Oticon introduced a brand new directionality strategy that they said made hearing in noise far easier than ever before. In essence they say that the hearing aids let you hear your whole sound environment while still allowing you to focus on speech. It is done in such a way that it doesn't cut you off from the surrounding sound like other hearing aids have done, hence, Open up a closed world. In this level of technology you get level 2 of all of the features responsible, so it is a reduced level of technology, but real info as to how much reduced isn't necessarily available. Anyone I speak to about the Opn 3 is pretty happy with performance though, so they seem to be pretty good devices. The Opn 3 is the mid level technology in the Opn range. All three levels of the Oticon Opn™ family provide the open sound experience that is proving so popular. However, each model gives the brain a different level of assistance – a different level of BrainHearing™ support. This is Level 2 or Mid-Range technology. wireless slimline 'Mini-Receiver-In-Ear (miniRITE)' hearing aid using a 312 battery. Four levels of receiver power allowing hearing losses from mild to severe to profound to be fitted with a discreet solution. They are so small they are practically invisible and come in a range of shades and bright colours. The internet-enabled Oticon Opn comes with a number of additional features because it can connect to devices via the internet and Bluetooth. The hearing aids will connect directly to your Smartphone so you can make phone calls and listen to music without any intermediate streaming device. This is a mid-range wireless slimline Rechargeable 'Mini-Receiver-In-Ear (miniRITE)' hearing aid using a rechargeable Silver Zinc 312 battery (can also use disposable hearing aid batteries). All Oticon Opn 3 miniRITE hearing aids sold since the introduction and going forward can be retrofitted to be rechargeable. They are so small they are practically invisible and come in a range of shades and bright colours.Four levels of receiver power allowing hearing losses from mild to severe to profound to be fitted with a discreet solution. The internet-enabled Oticon Opn comes with a number of additional features because it can connect to devices via the internet and Bluetooth. The hearing aids will connect directly to your Smartphone so you can make phone calls and listen to music without any intermediate streaming device. The sleek and discreet miniRITE-T features a telecoil and double push button for easy volume and program control. Four levels of receiver power allowing hearing losses from mild to severe to profound to be fitted with a discreet solution. The internet-enabled Oticon Opn comes with a number of additional features because it can connect to devices via the internet and Bluetooth. The hearing aids will connect directly to your Smartphone so you can make phone calls and listen to music without any intermediate streaming device. Opn 3 BTE13 PP: The mid-range powerful and compact BTE13 PPfits hearing losses up to 105 dB SPL to benefit people with severe-to-profound hearing loss. The plus power solution features a telecoil, a tactile double pushbutton for easy volume and program control and a two-color LED indicator to monitor hearing aid status for both users and caregivers. The internet-enabled Oticon Opn comes with a number of additional features because it can connect to devices via the internet and Bluetooth. The hearing aids will connect directly to your Smartphone so you can make phone calls and listen to music without any intermediate streaming device. Acoustic notifications: Provides notifications and warnings to assist and support confidence in daily use, e.g., start-up jingle, low battery warnings, etc. Made for iPhone®:‘Made for iPhone’ means that the hearing aid and accessories have been designed to connect to iPhone, and have been certified by the developer to meet Apple™ performance standards. OpenSound NavigatorTM:Provides listening support by continuously analyzing the environment, balancing sound sources so focus sound is clear and competing sounds are not too disturbing. Finally, it attenuates remaining noise to provide a more accessible sound environment. Less stress. Remember more. Better hearing. Oticon Opn™ introduces groundbreaking technology that is fast enough to support the brain. With precision and accuracy it analyzes the acoustic environment and differentiates between the individual sounds. The result is a significant improvement in the ability to understand speech in complex environments while, at the same time, preserving mental energy – ultimately empowering users to Open Up to the World. Users are provided with more accurate information making it easier to locate and separate sound sources so they can focus on what they find important. This happens so quickly it facilitates the listener’s ability to change focus when desired. This is the premium hearing aid in Oticon’s range which uses their new Velox Sense processing chip. This range is a completely new way of processing sound and is suitable for more demanding listening environments. Oticon Opn is available in a compact, newly designed miniRITE that sits discreetly on the ear. Oticon Opn offers a wealth of new features and functionalities all incorporated in a sleek and modern 312 battery-based design. The Opnis available in a range of colours. The Oticon ON app lets you adjust volume, switch programs and check the battery level. The app also offers convenient 'find my hearing aid' search feature, counseling advice and links to user instructions. The app is also where the connection to the IFTTT network happens. If you want your lights to turn on automatically when you switch your hearing aids on or want to be notified by your hearing aidsthat someone is at your door then these are a few of the limitless possiblities available using ifttt. Oticon have introduced their own recipes that can be easily downloaded, however, it is easy to make new recipes for action.